Safe to say such a reaction would be wrong, both in the case of the Ten Commandments as in the case of Ogre. There's a simple reason why: history. 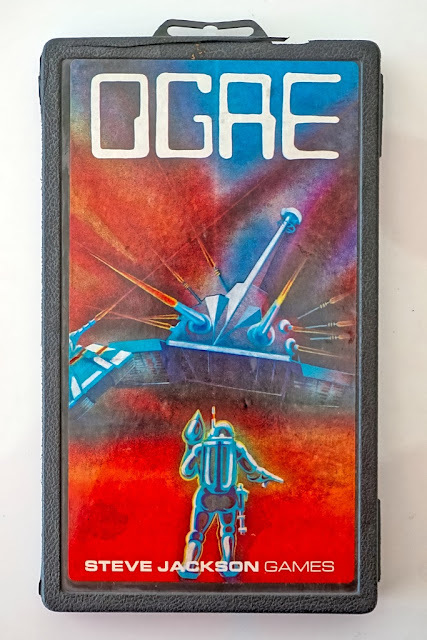 Ogre was first released in the late seventies to a world still largely without video games, at least not in the hands of the general public. Nothing about this board game was particularly unique. 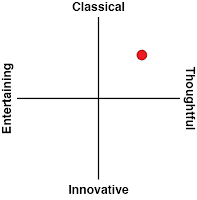 In its basic form, it was a board game sold in a small DVD jewel box like plastic container for not many a dollar. In it one could find a small paper map made of hexagons and a collection of tiny paper pieces that represented the game pieces. There was a black & white instructions booklet, and that was it. Despite its lowly beginnings, Ogre did make a name for itself in the years following its release. 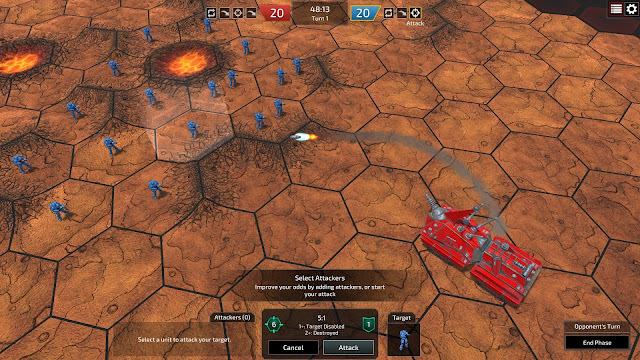 The reason was the gruelling gameplay: you see, Ogre is an asymmetric strategy game. 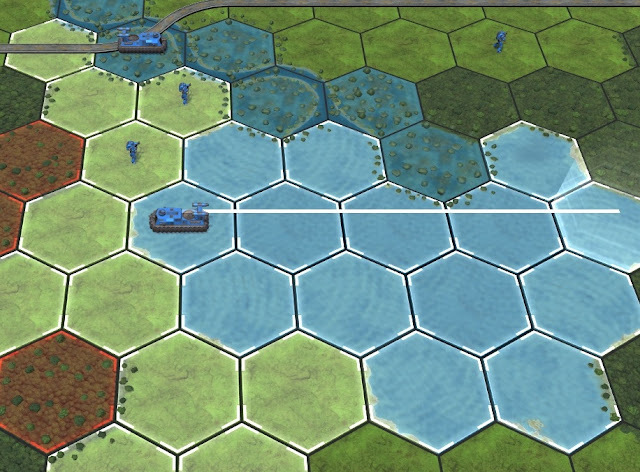 It featured a single uber-tank, called the Ogre, whose goal was more or less to cross from one side of the map to the other. Standing in the way of the Ogre was an army made of multiple units of varying, significantly weaker, composition. 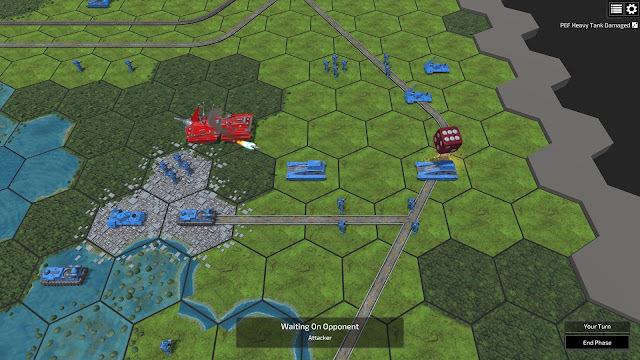 The player running the Ogre had themselves an easy run; the second player had to choose which units they wanted to try and stop the Ogre with, how to position them at the beginning of the game given terrain and such, and how to manage them in battle given considerations such as fire power, range, terrain, and portability. The catch is, fighting that Ogre was hard; most of the time, the Ogre would obliterate its opponent with little effort. The might of the challenge, coupled with the seemingly very simple components at play, caused - in this pre-Internet, print-only world - quite a stir. People were discussing strategies and articles were written on how to beat that Ogre. Books, even. Bear in mind, Amazon did not even deliver books at the time, and unless you were lucky enough to live in a three-letter country whose abbreviated name starts with a 'U' and ends with an 'A,' acquiring that material was pretty hard, but I do recall reading about the Howitzer Tactic’s ins and outs (which referred to trying to stop the Ogre using a set of powerful, yet immobile, cannons). It was quite the storm, in the tabletop world, this Ogre game. Eventually a reliable tactic for beating that Ogre was found (no, I’m not going to disclose it here). The point, however, was the stirrup the game had caused at the time, which left a historical mark. 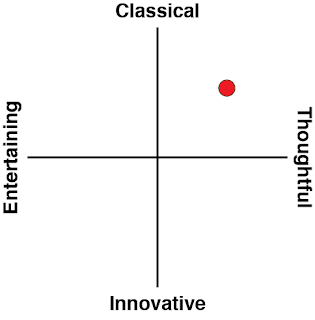 Asymmetric competition utilising simple game mechanics appeared to be a winner! Thus the first Ogre led to sequels, spin offs, new editions, and - eventually - this new PC game we are discussing here and now. Coming to review this new video game, my question was whether Ogre can live up to the nostalgia and the personal meaning its memories hold for me? Would it be just another video game version of a board game? 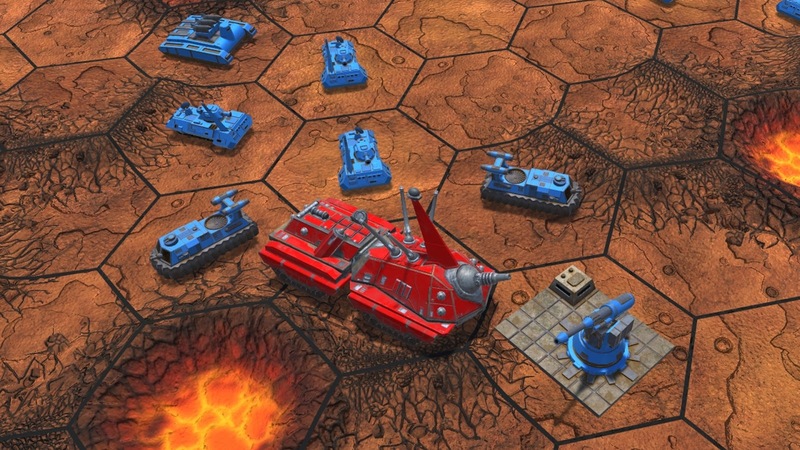 Come to think of it, given that board gaming did not drag its feet during the past four decades, can Ogre still be a contender in the first place? Following a relatively humble download by today’s standards (133MB at time of writing), I was staring into Ogre’s main menu. It offered me several options: Single player modes, including a campaign and various skirmishes; Two player Ogre-ing, both in local and online (ranked) forms; and a tutorial, which is what I started out with. As it turned out, the tutorial mixes teaching what Ogre has always referred to as “simple” as well as “advanced” rules. For clarity’s sake, I would have preferred a master toggle switch that lets me know and control exactly what rule set I’m going to be playing by. Talking about master switches, it’s a good thing there is one for the music somewhere in the menus. Ogre’s music drove me crazy, going on and on throughout the affair without any meaningful connection to what was happening on the game board (or, for that matter, the menus). Ogre is definitely a case for silence being golden. By far my biggest problem with Ogre became evident as I started playing: the user interface. I know that a PC interpretation of a board game stands to suffer these days when we are all used to the basic drag & drop interfaces of our phones, but Ogre feels like it is actively trying to make things extra annoying. It is not the most intuitive, to start with; it always feels like it adds an extra click or drag over what it should have required; and often I found doing one thing comes with an unintended side effect (like dragging the map when choosing a unit to fire). Sometimes it would take me a while to realise it’s not that I’m not clicking hard enough on the mouse, it’s just that this semi transparent menu stands between me and the unit I am trying to click on. Feel free to accuse me of being the dumb party here, but I simply argue this struggle that the user interface is going through in order to ensure players notice its existence distracts from the suspension of disbelief. Still on the subject of the user interface, I will note Ogre does not offer a quick undo option. 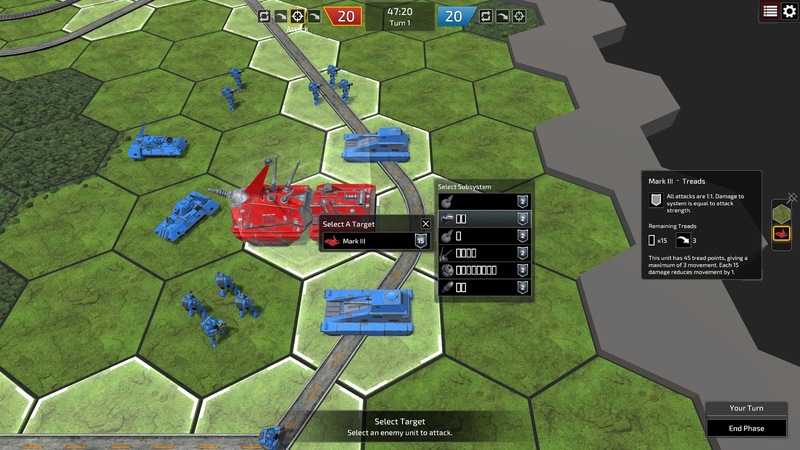 It won’t be the first strategy game not to do so, and I am fully aware of such an option having the potential for cheating abuse. However, I will argue that, especially given the user interface, at least some beginner’s modes could benefit from indulging such features. Chess video games have had them for decades and what's good for chess is surely good for Ogre. On the positive side, I will note that bugs I have encountered while playing Ogre seem to have been sorted out as I was reviewing the game through a couple of updates. It always gives me that warm fuzzy feeling to see a developer taking care of me “live”. Once I started playing Ogre, [almost] all my troubles were forgiven. Both with the game as well as the world in general. 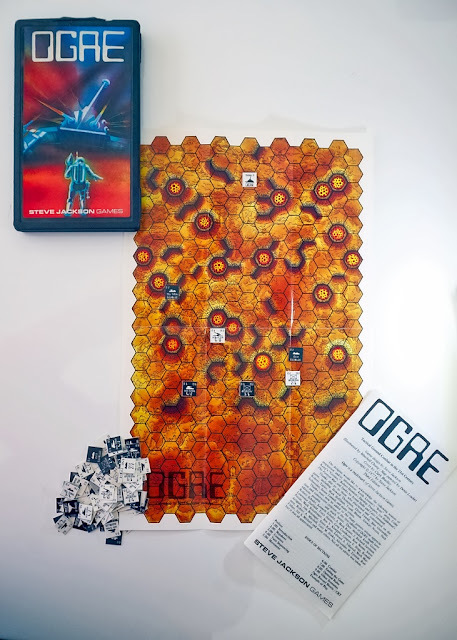 To state it simply, Ogre the video game is the same excellent game the board game it arose from was: a deceptively simple strategy game with acres of depth hidden behind a thin veil. Playing Ogre felt like playing Fire Emblem with a twist. The strategies and the mechanics are very similar but for one key difference: you got to be willing to sacrifice units. All the time, at a rate that would make whoever it is in charge of notifying the grieving parents of your unit members the busiest person in your crew (so, not Donald Trump then - ed). Thinking about it this way, one can see the positives in having relatively simplistic battle simulation graphics. The comparison between Ogre and Fire Emblem also made one think of the progress made in the field of gaming as it utilised technological breakthroughs: To state the obvious, Fire Emblem does not rely on strategy alone; narrative plays a strong part, too. Personally, I find it is easier to accept the more primitive games on mobile, where it is assumed they’ll be played in short bursts, than it is when I devote myself in my entirety to a game as I sit in front of my PC. Add the ye olde (read: not touch screen) user interface to the equation, and one did wonder if Ogre’s right place in the year 2017 is actually an iPad. My iPad, thank you very much, and soon! Heretical thoughts aside, as a fan of both strategy games and board games, words will not suffice when it comes to me describing how much I loved getting down and dirty playing Ogre. It is exactly what the doctor ordered: each scenario tightly balanced and feeling as if it is coming to the wire, each round making me feel as if I actually just came out of NATO headquarters during DEFCON 1. Ladies and gentlemen, Ogre is the real thing! I should also mention Ogre is the real thing in terms of fidelity to the original board game. Sure, that seventies original is camouflaged by plenty of other scenarios and such, but the point is all of those take the board game and spice it up the way software is able to easily do (whereas updating your table top is an entirely different story; as much as I love board games, I admit to suffering expansion pack fatigue when it comes to board games in general). I already spent a word or two on the damage done by the user interface when it comes to the suspension of disbelief, so I will now spend a few more on another interruption coming from a rather trivial source: the good old random number generator. Given battle outcomes are determined by the toss of a die, Ogre’s random number generation procedure raises an eyebrow pretty much every round. Sure, it could be that I’m just too subjective, but when my entire army misses all its shots during one round, and then scores hits with anything and everything in the next, one has to wonder how random is random. Ogre’s battles do offer the opportunity to count large samples of random number generation in a short amount of time, and by my reckoning I’d like to file a dispute around the definition of “random”. It sort of evens itself out over a long game, yes, but it could also impede at key points or help one win out of nowhere. The effect is probably worst when playing two player, as it could have catastrophic impact on your partner’s willingness to play: it’s one thing to lose as a result of your opponent’s sheer brilliance, it’s another to end up so due to repeatedly unreasonable simulated die toss results. Since I just mentioned two player Ogre, it is probably worth noting how the game’s asymmetric nature works well to introduce players into the affair (and, by extension, into the whole genre). The local multiplayer option works wonders: just let the newbie play as the Ogre (several such skirmishes are provided for), and witness their joy as they casually wreck havoc on your carefully assembled armies. But - and this is crucial - watch them also take note of the strategies you’re using in order to subdue their Ogre. The official graduation ceremony comes when they ask to switch sides. Most of the people reading this review will not carry with them the positive burden of Ogre’s historical heritage. To them, it’ll be just another turn based strategy game, and therefore for them it’ll be harder for me to recommend Ogre over competitors offering a nicer, smoother, experience. However, if you are an old timer like yours truly, or if you simply love turn based strategy enough to never miss a chance (like yours truly), potentially also seeking a tool with which to saw the seed of strategy with friends and family, I’d say: let this Ogre trounce you.